Sheikh Hamdan bin Mohammed Al Maktoum’s Heavy Metal has one way of running: faster than everyone else, from beginning to end. The son of Exceed and Excel did his father’s name proud during the 2017-2018 Meydan season, racing six times and winning four, including the Group 2 Godolphin Mile on Dubai World Cup night. In addition to that gate-to-wire win, the bay gelding won the Firebreak (G3), Al Maktoum Challenge Round 1 (G2) and Dubai Creek Mile — all in similar fashion. A 15-time winner from 59 starts, the British-bred Sandeep Jadhav trainee is likely to kick off his season with a defense of his Al Maktoum Challenge Round 1, a race in which he defeated subsequent Dubai World Cup winner Thunder Snow last season. “He’s in good form and doing really good as a whole,” Jadhav said. “He’s galloping well and in good shape, so that is great to see. We have breezed him four times so far, but he never actually shows a lot of speed at home. In the race, it is totally different. The only blemishes on last season were a tired fourth in the Burj Nahaar (G3) on Super Saturday behind well-regarded Doug Watson trainee Kimbear and a third to Thunder Snow when stretching beyond his scope in the Al Maktoum Challenge Round 2 (G2). Heavy Metal has raced 21 times at Meydan and has eight victories since his local bow on February 28, 2015. His long and storied career commenced in mid- 2012, highlighted by a win in the Richmond Stakes (G2) for then-trainer Mark Johnston. 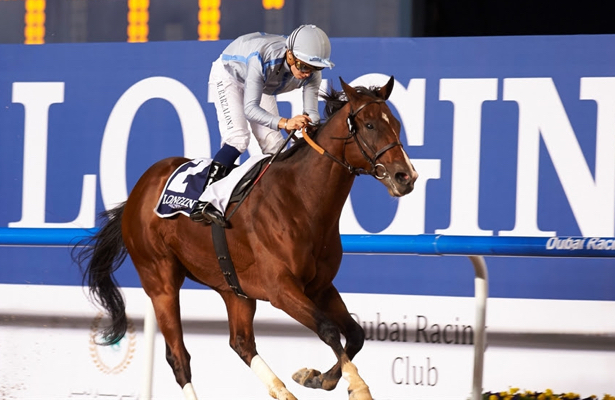 Heavy Metal could be on a collision course with Godolphin Mile runner-up Muntazah, who returns on Sunday at Abu Dhabi in the National Day Cup over a turf mile. Owned by Sheikh Hamdan bin Rashid Al Maktoum, the well-regarded son of Dubawi has been impressing trainer Watson, who said that coming back in the same Al Maktoum Challenge Round is a possibility for the multi-surface specialist. The race runs Jan. 10 at Meydan.